The Marfione Custom Combat Troodon automatic knife features an Interceptor style M390 steel blade with a Fallout finish. 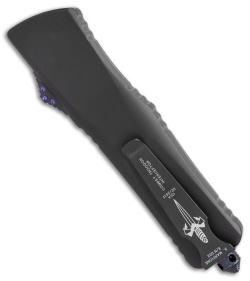 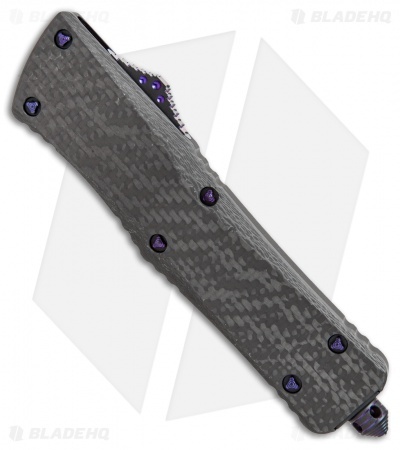 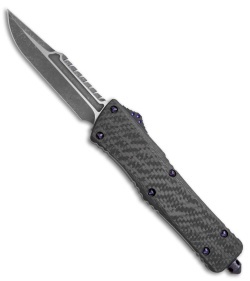 The handle is made from black anodized 6061-T6 aluminum with a carbon fiber front scale and purple anodized hardware. The model, date, and Marfione Dagger are found on the pocket clip. 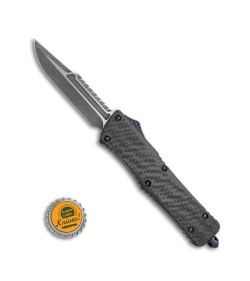 Item includes a certificate of authenticity.